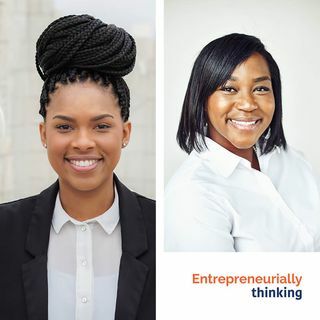 ETHINKSTL-104-What a difference a year makes | Rachel and Melanie Return and WOW! Last year we introduced you to two young innovators who were starting tech-focused companies in the healthcare marketplace. Melanie Igwe, the co-founder of Ilerasoft, and Rachel Simon-Lee, CEO and Founder of Heartwork Videos. Ilerasoft is a digital health company developing software that centralizes healthcare systems’ medical equipment assets data on one platform. Heartwork Videos is a unique resource for surgeons that captures and edits raw surgical footage into a high-quality educational ... See More video content. What they have learned in a year. What things have changed from their initial startup idea? What challenges have they faced as they build their business? How did they overcome? What feedback are they getting from the market about their technologies? What advice would they give for people who want to start a business in healthcare?